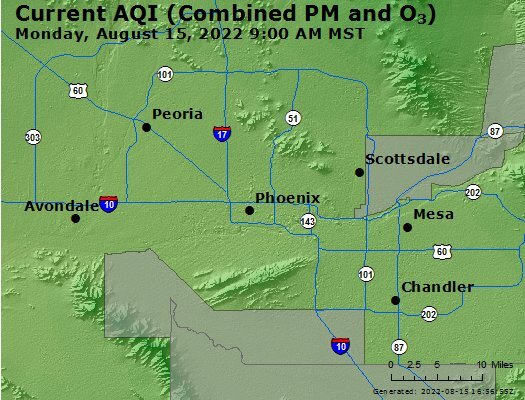 High Pollution Advisory called for Phoenix, AZ. Script courtesy of Michael Holden of Relay Weather. Data courtesy of Airnow.gov.